The inheritor of the affordable OCZ’s Onyx Series SSD, has been revealed and guess what is the name of the new 2.5 inch SSD family…yes Onyx 2. Designed for mainstream desktops and mobile systems, the new Onyx 2.5 inch SSD feature a SandForce SF-1200 controller, Multi-Level-Cell NAND Flash memory chips, seek time under .1ms, SATA II interface, TRIM support, RAID Support, has up to 270MB/s read, 265MB/s write speeds and up to 10,000 random write IOPS (4k aligned). 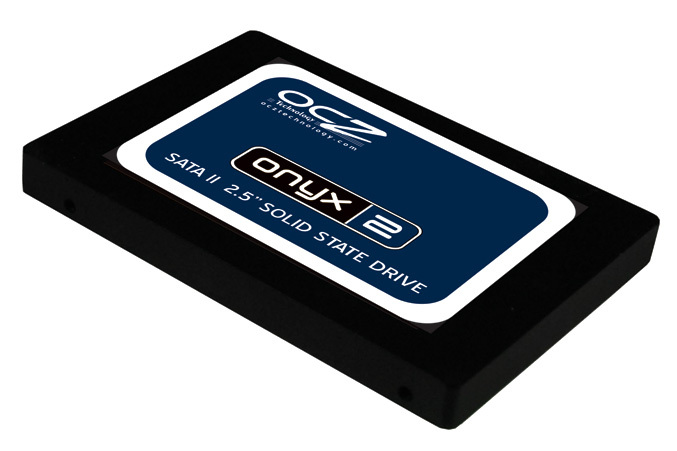 The Onyx 2 series SSDs comes with a two-year warranty and are available in 120GB and 240GB capacities with recommended prices of $190 (120GB) and $440 (240GB).